Hello readers, it’s been a long time since our last post. Lately we’ve been busy chasing our dream along this 2012, hoping that one day we will have a muslim magazine for young women in Indonesia. After 4 months preparing the financial plan, building a company with lots of business project, plus another 3 months creating our first edition, finally after 7 months the first edition is ready. Our team consists of high skilled young hijabi women with big passion, and believes that our magazine will deliver Islamic value through fashion and features. We want to share our love for fashion with our experience since the hijabi hype started in 2010. 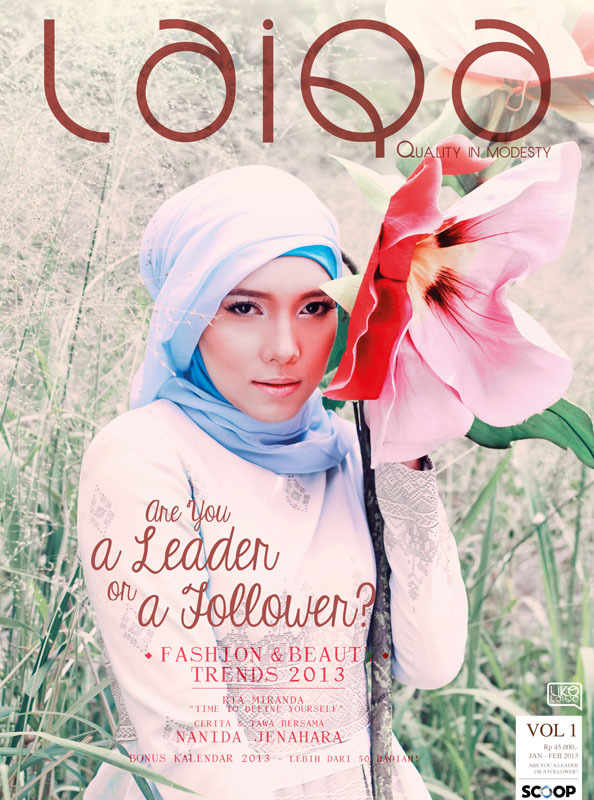 Hijab-Scarf.com was one of the media that grow with the reader until today, and we want to give you the best we can create, a magazine for all. You can buy it anywhere around you, from bookstore to news agent all over Indonesia, Gramedia, Times, Kinokuniya, Paperclip, TBA Bookstore or even supermarket and small newsagent near your neighborhood, you named it. For International buyer you can find us at www.getscoop.com and search for Laiqa Magazine (digital version for iPad, iPhone, and Android market). Starting from today you can get 30% discount, so grab it fast on Scoop. Also you can buy the magazine online through www.hijup.com, they’ll deliver Laiqa Magazine right to your place but with shipping fee.